Do You Need a Pet Photographer? I am so excited to let you all know that my PhoDOGraphy by Edith Levy website is now live! 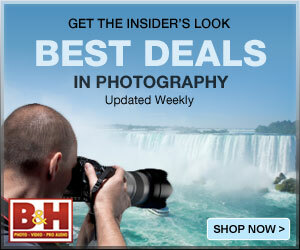 The new site is www.PhoDOGraphybyEdith.com or you can just click on the logo to get to the first blog post. There are still things I want to add and tweaks I have to make but please have a look around and let me know what you think. I’d love to get your feedback. This entry was posted on January 16, 2014 by edithlevyphotography. It was filed under Animals, Pet Photography, PhoDOGraphy by Edith Levy and was tagged with Cavalier King Charles Spaniel, pet photography, Toronto Pet Photographer. Congratulations and best wishes on your new endeavor, Edith. I look forward to following your new adventures through your blog. Thank you so much Earl. Congratulations and best of luck, Edith! The site looks good. Love your logo. Thank you very much Gracie. What a nice way to spend time behind the camera! Good luck!! I hope all your paws come true! Good luck with your enterprise! Best of luck with the new site Edith! Congratulation on your new journey, I wish you all the best! Good luck with your new endeavor Edith. Too bad we live so far away or we would bring Jack for some photos. Thanks so much Len. I would have loved to photograph Jack. Your logo is terrific–good luck. I now follow you on both blogs. How could I resist when there are cute puppies and your amazing photograph skills? Congrats Edith :). Thanks again Cindy. You’re awesome. Thank you so much Nia and thank you for visiting my new site. The site looks very nice. Thank you so very much Jimi. Looks great!!! Best of luck!!! All the very best for your new site Edith. And Brady takes pride of place – of course!